Offering $100 in services FREE! Exclusively in the month of January 2014, you can purchase a $1000.00 package for only $900.00. Each package is good for 1 year from the date of purchase and you can purchase as many as you would like. The package can be used for everything we offer from boarding, bathing, full grooming, activities and even retail items. We are trying to raise funds for our expansion into dog daycare and training. Please stop in or give us a call if you would be interested in purchasing a package or have any questions. Packages are refundable: Example: On 12/31/14 you still have a credit of $200 on your account, we will allow $100 to roll over to the following year or give you a refund. If you still have a credit of $50 on your account you would lose this as it was part of the promotion. In other words, you will not lose any of your original investment, so there is no risk. Milton Manor Pet Spa & Resort will be participating for our first time in Saratoga’s Chowderfest! We will be located at the City Center(522 Broadway Saratoga Springs, NY. 12866). We will be participating in the “Dog Chow Down”! Starting at 1:00 PM at the Saratoga Downtowner Motel, a contest between the stores participating(Dawgdom, Impressions of Saratoga, Milton Manor Pet Spa & Resort, & Sloppy Kisses) in making dog chowder will compete! 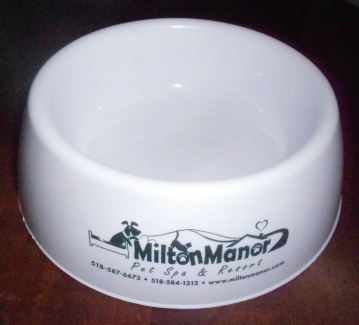 Each serving of doggie chowder will be $1 and will be served in a reusable dog bowl that you will get to keep. Proceeds will be donated to Rottie Empire Rescue( http://www.rottieempirerescue.com/) & Glen Highland Farm ( http://www.glenhighlandfarm.com/) Glen Highland Farm is assisting with the Border Collie’s taken from the puppy mill in Sprakers NY (http://glenhighlandfarm.com/sprakers.htm). Winter weather and your pets…..